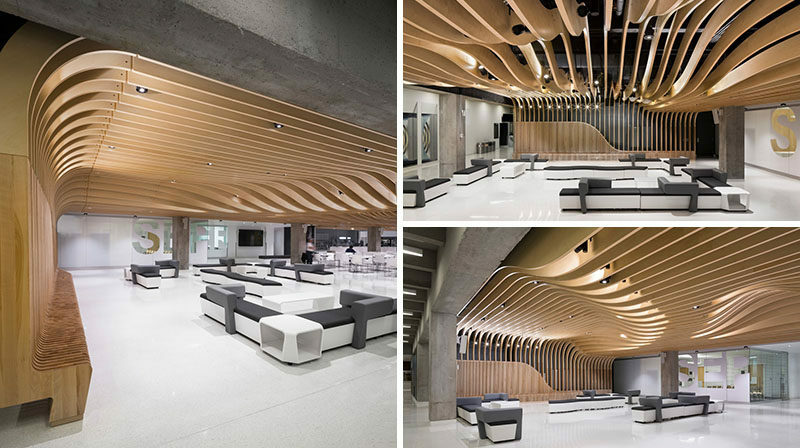 Inside the student centre at Polytechnique Montréal, Canada, is a public lounge area that has been designed by Menkès Shooner Dagenais LeTourneux Architectes. 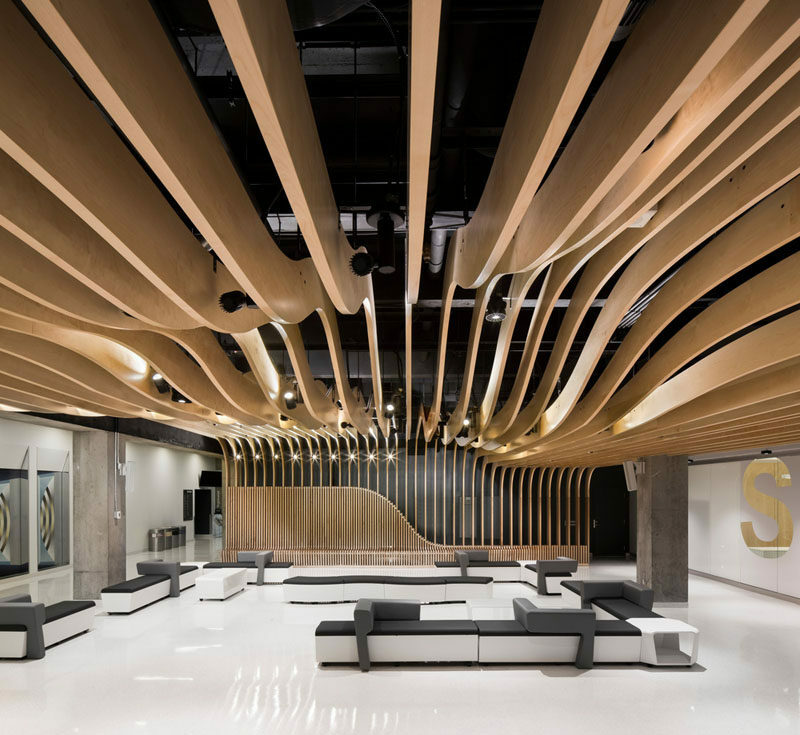 As part of the student lounge area, they designed a length of seating that transforms into the ceiling. Wood ribs positioned tightly against each other make up the seat. 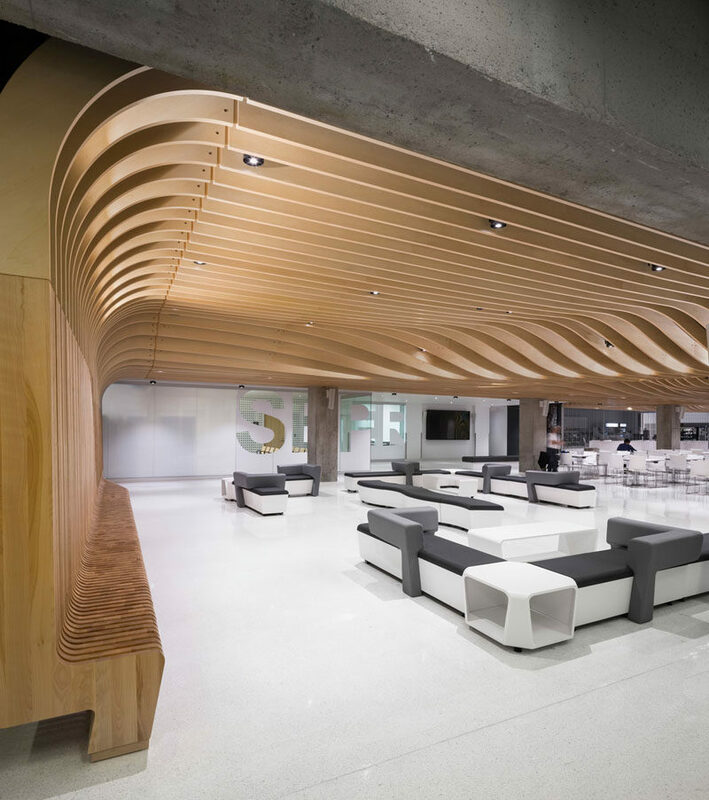 Some of them continue and extend to become a ceiling detail, drawing your eye upwards. 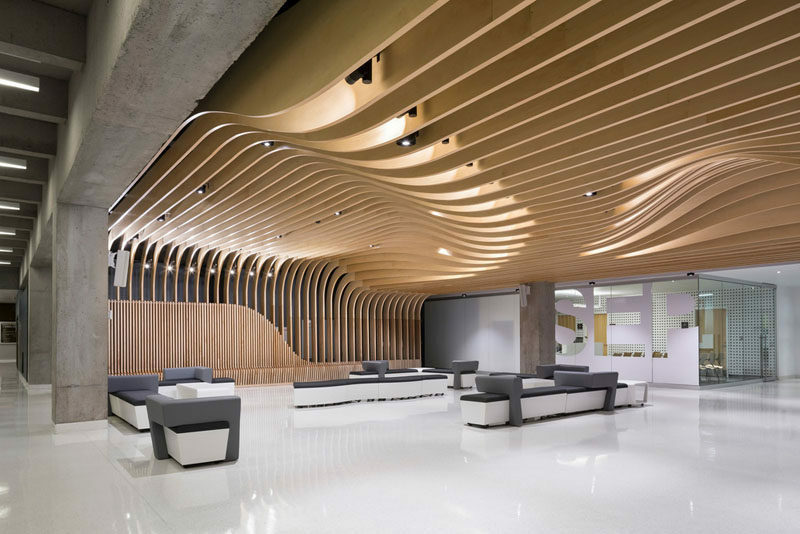 Lighting has been positioned between the wood ribs, highlighting the curves of the design.